You’ll accept the wrinkles—reluctantly. And you can handle the stronger eyeglass prescription. But one thing you don’t have to passively accept as you age is a lack of balance. 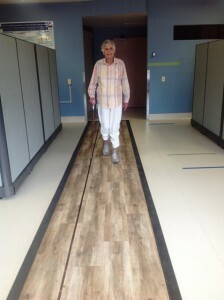 Falls are a leading cause of injury for older adults. One in three seniors will experience a fall each year and half of them will far more than once, reports Suzanne Robillard of the Canada Safety Council. 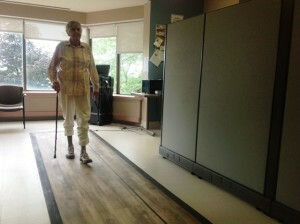 Falls are the most preventable health risk to Canadian seniors, she says. Most falls occur at home. To lower your risk, the Safety Council recommends first identifying what could make you lose your footing, evaluating what can be repaired or modified, making changes immediately (ask for help if you need it!). Be sure you’re wearing proper footwear. Eliminate clutter on or around stairs. Secure floor mats or rugs. Install sufficient outdoor and indoor lighting. Remove snow or ice from sidewalks and driveways. Dr. Montero Odasso adds that there is strong medical evidence that sleeping pills and sedatives lead to falls. While sometimes taking sleeping pills is unavoidable, he advises reviewing sleep medication with your doctor or pharmacist and exploring possible alternatives such as relaxation exercises or drinking warm milk before bedtime. Finally, exercises, which improve strength and balance such as Tai-Chi has demonstrated to reduce the incidence of future falls.